At the Japan PhotoNext exhibition, CononMark shows off a 12VDC monolight (DD400) and Godox display a pure sine wave inverter power supply (LP-750). Tokyo: The Japanese PhotoNext 2010 exhibition displayed several interesting new lighting gadgets from Chinese manufacturers. 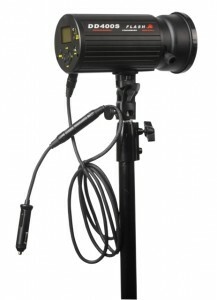 The CononMark DD400 is a DC monolight controllable from 400 to 6.5Ws (64:1) with a digital LCD and the opportunity to use S-mount accessories. 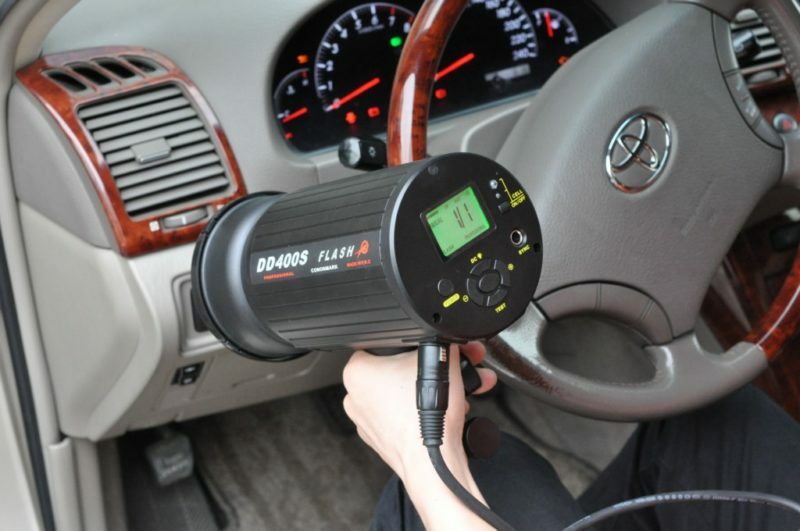 Unlike most other portable DC lights, the DD400 runs off any generic 12V SLA battery, including your car cigarette lighter. The manufacturer claims a recycle time of below 3.2 seconds, and a whopping 1300 full power flashes from a single charge. Should you return to civilisation, a mains adapter is also included. It was spotted at the exhibition here and the manufacturer product page is here. 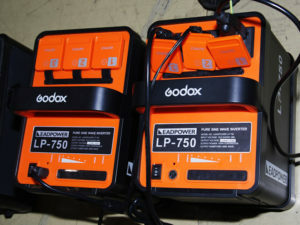 The Godox Leadpower LP-750 is a battery pack with a pure sine wave inverter, designed for use with studio lights. 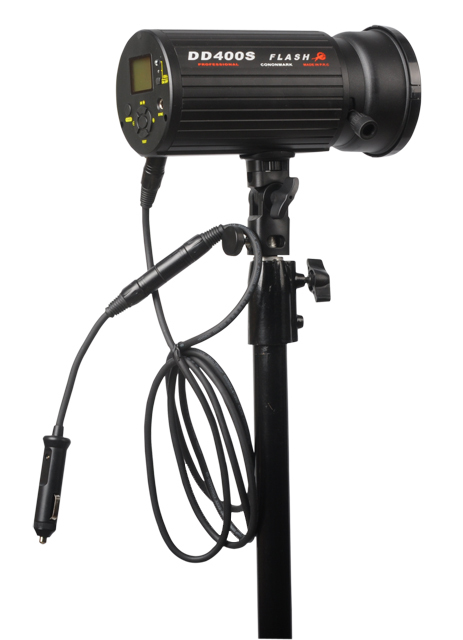 With three AC sockets putting out either 220 or 110V and a maximum continuous load of 750W, the LP-750 should be ideal for running multiple lights and other devices (e.g. laptops) on a location photo shoot. Though more expensive than an Innovatronix Explorer, the Godox unit uses a NiMH battery allowing it to be smaller and lighter. You can find reportage on the brilliant orange power pack at the exhibition here. Specifications can be found here.